Attorneys from twenty-four states have signed as authors with Addicus Books for its series on divorce. 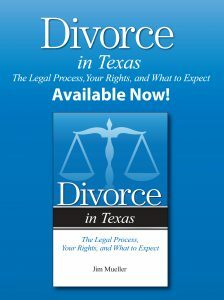 (The books discuss divorce issues, according to the law in the state, where the authors/attorneys reside. 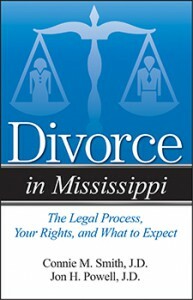 Books off the press late this fall include, Divorce in Arizona, Divorce in Nevada, Divorce in Mississippi, and Divorce in Washington. 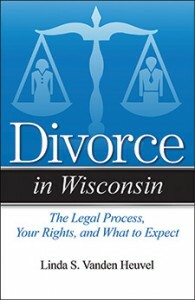 Heading to press soon: Divorce in Wisconsin. 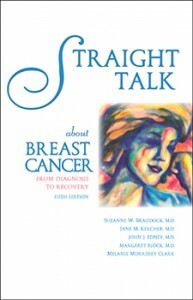 A review of Straight Talk about Breast Cancer, 5th edition, in the Library Journal is resulting in brisk sales. Publication of the new edition marked the twentieth anniversary of book’s first edition, published in 1994. 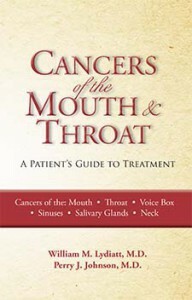 In addition to sales to libraries and the public, the book is distributed by cancer clinics and hospitals across the nation. Lincoln Attorney, John Stevens Berry, co-author of The Twelfth Victim—The Innocence of Caril Fugate in the Starkweather Murder Rampage (September 2014) received a standing ovation after a recent presentation before a packed house at UNL. 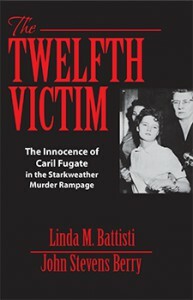 Berry discussed what he calls “the travesty of the Caril Fugate trial,” in 1958. The 14-year-old eighth grader was found guilty of being accessory to murder and sentenced to life in prison after her former boyfriend, Charles Starkweather, forced her to accompany him on a murder spree that left eleven people dead. Berry said, “What’s ironic is that all the ugly things the press ever reported about Caril were quotes from Starkweather, who was a psychopathic killer who changed his story nine times. Unfortunately, his quotes became banner headlines and have shaped public opinion for decades.” Berry’s presentation was sponsored by the Osher Life Long Learning Institute at the University of Nebraska, Lincoln. Marlene Pontrelli and Robert Schwartz, authors of Divorce in Arizona—The Legal Process, Your Rights, and What to Expect, signed copies of their book at the Changing Hands Bookstore in Tempe, Arizona, on Saturday, January 10. Turnout was brisk—the authors spent most of the afternoon signing books visiting with those who attended. Emergency room physician, Dr. Fred Mirarchi, was featured in an article about living wills in a December Wall Street Journal article. The article cited a recent report, “Dying in America,” by the Institute of Medicine. The report called for a national effort to improve medical and social services for end-of-life care; it also called for improvement in following a patient’s wishes for unwanted care. Dr. Mirarchi, author of Understanding Your Living Will—What You Need to Know Before an Emergency, says “Too many medical professional confuse a living will with DNR (Do Not Resuscitate) orders. 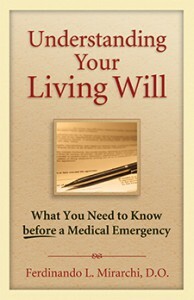 A living will is for healthy adults to document the kind of care they want if they become incapacitated. DNR orders instruct medical providers to not intervene if a patient has no pulse or is not breathing. 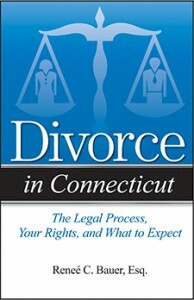 Attorney Reneé Bauer, author of Divorce in Connecticut, has donated nearly 200 copies of her book to libraries across her state. Bauer said she recognized the importance of making the book available as a resource to residents; she also realized the financial constraints the state library system is under. “Making this donation is my honor and pleasure,” Bauer said. “When people go through divorce, they often seek advice from friends and the Internet, and unfortunately not all advice is good advice. Throughout my legal career, I’ve witnessed the effect of bad advice that people often receive.” Bauer heads the Reneé C. Bauer Law Group in Hamden, Connecticut. Attorney Steven Peskind, author of Divorce in Illinois, has been named Lawyer of the Year in Chicago by the “Best Lawyers in America.” This honor is based entirely on peer reviews, collected from leading lawyers in family practice law within the geographical area. 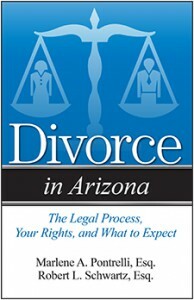 The Maricopa Lawyer, a publication of the Maricopa County Arizona Bar Association, delivers high marks for the recently published Divorce in Arizona by attorneys Marlene Pontrelli and Robert Schwartz of Phoenix. 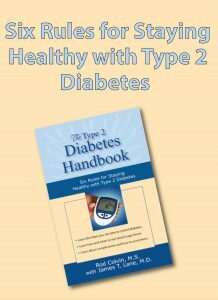 The review states, “The authors break down complex issues into easily understandable questions and answers. At the same time, the book details the important factors that all family law litigants need to know.” The book review is available in its entirety here. 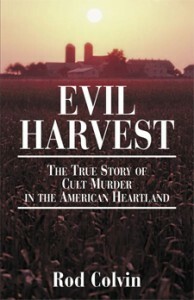 Rod Colvin, author of Evil Harvest, (Bantam Books, 1992/Addicus Books 2001), is donating his original book manuscript and related research materials to the Nebraska Historical Society in Lincoln, Nebraska. The book is a true crime account of the cult murders in Rulo, Nebraska, in the mid-80s. “Because the book involved a high-profile Nebraska story, the curator of manuscripts for the Nebraska Historical Society expressed interest in adding the materials to their collection,” Colvin said. Colvin also plans to donate audio tapes and transcripts of dozens of interviews he conducted while researching the book. More editions of books in the Addicus Books “Divorce Series” are either off the press or are in production. 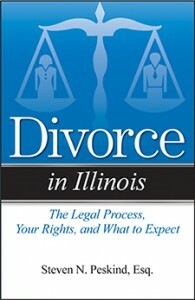 Most recently, Divorce in Wisconsin, rolled off the press; the author is Linda Vanden Heuvel of Germantown, Wisconsin. Also just off the press: Divorce in Maine, by attorneys Dana Prescott and Neil Jamieson, of Saco, Maine. Heading to press: Divorce in Georgia by Richard Sanders and Douglas Andrews, of Savannah, Georgia. Florida attorneys, Lisa Kirby, Esq. 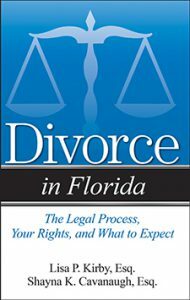 and Shayna Cavanaugh, Esq., have signed with Addicus Books to author the forthcoming book, Divorce in Florida—The Legal Process, Your Rights, and What to Expect. Both women are family law attorneys in Naples, Florida; Divorce in Florida becomes the twenty-sixth book in the Addicus series of books (by state) on divorce. 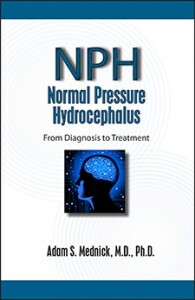 Neurologist Adam Mednick, M.D., author of Normal Pressure Hydrocephalus (NPH)—From Diagnosis to Treatment is featured in an interview in the online publication AgingCare.com. NPH, which is often misdiagnosed as dementia or Parkinson’s Disease, is a condition caused by a build up of too much spinal fluid in the brain. If diagnosed, many individuals may undergo shunt surgery to drain away the excess fluid. The surgery can reverse symptoms, which include: trouble with gait (walking), incontinence, and mild dementia. Dr. Mednick is a neurologist in private practice in New Haven, Connecticut.